I’m on a huge Mexican kick at the moment. For my sister’s 21st birthday a few weeks ago I made a Mexican-inspired feast with quesadillas, tostadas and taquitos, and I’ve been getting flavour cravings ever since! 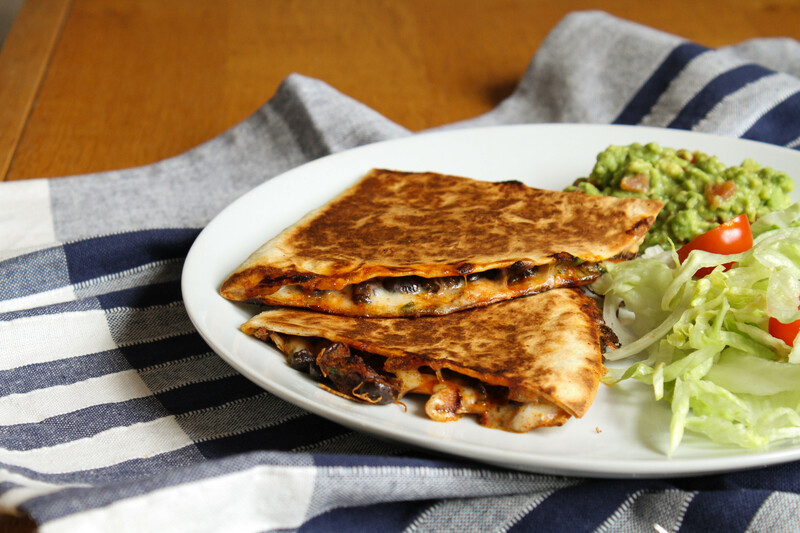 Quesadillas are fast becoming my go-to lunch: they’re so quick and easy to make, and totally delicious. 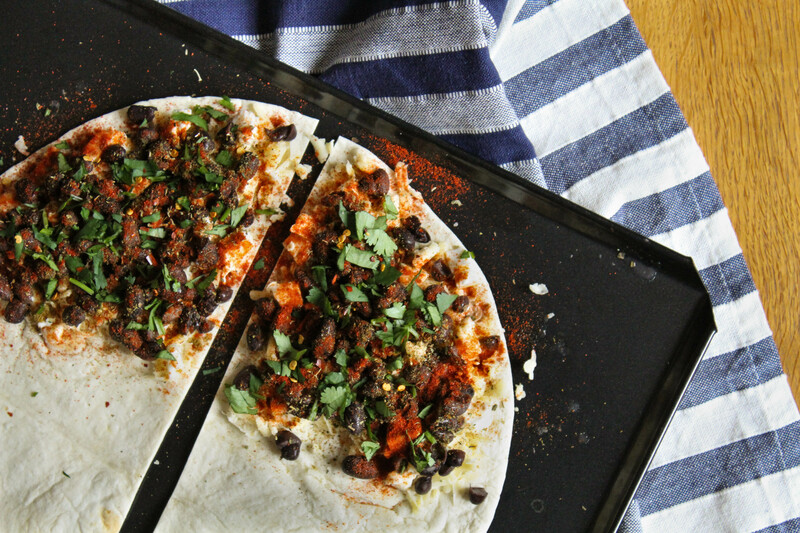 They’re also really adaptable – you can add in any leftover veg or beans that need using up, and if necessary you can also use gluten-free wraps. 1. Begin by cutting your tortilla in half to create two semi-circles. Over one half of each semi-circle, sprinkle the mozzarella and cheddar, followed by the black beans, herbs and spices. Fold the tortillas in half to cover the filling, and gently press down. 2. 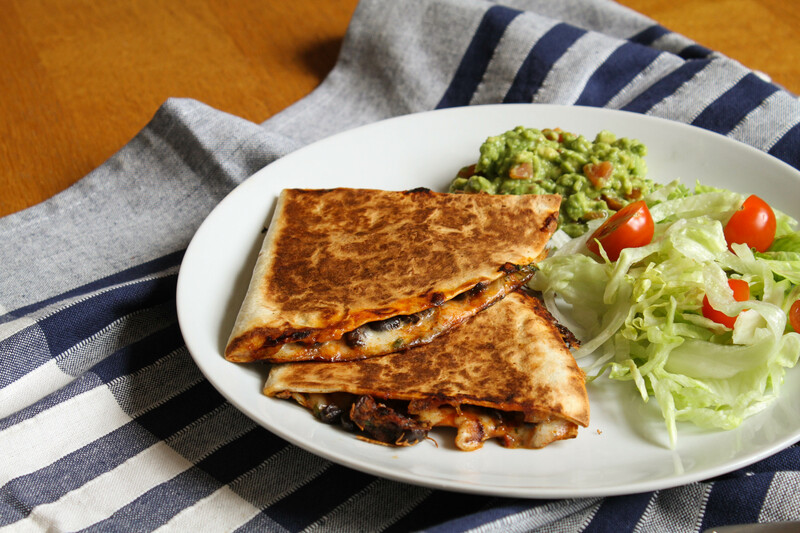 Warm a large frying pan on a low-medium heat, then place the quesadillas into it. Cook for a couple of minutes, until the cheese is beginning to melt and the tortilla has browned, then gently flip them over. 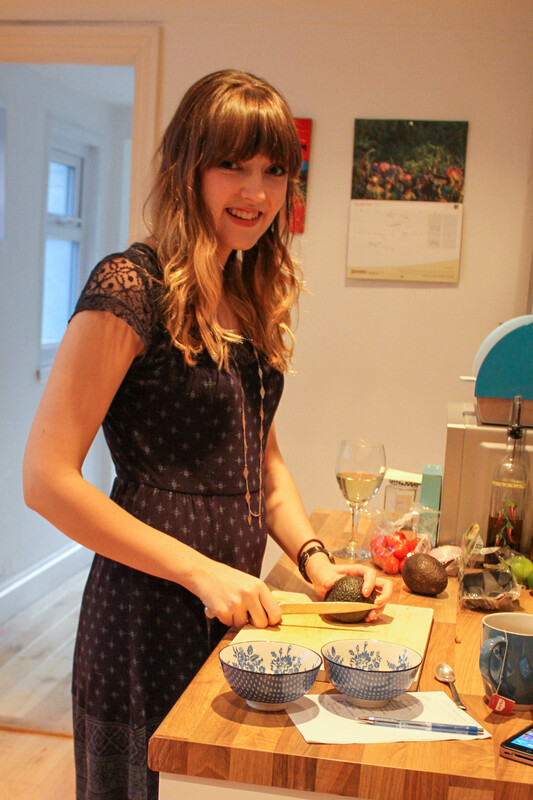 Continue to cook until the cheese has melted, then remove from the heat and enjoy! It’s up to you how you have them: I ate mine with shredded iceberg lettuce, cherry tomatoes and homemade guacamole.